love for her daughter, being and bringing up that child that becomes a lady. Then that special day comes when her daughter is about to get married. I love what I do, I am a artist, a story teller, a person that has feelings, a father with two amazing daughter myself. I am so honored by many couples to capture their day, and I must always make very sure that I capture timeless moments in wedding photography. My clients read reviews about me, what my past clients say about my impeccable service to them, how I always push the envelope to create a once in a lifetime experience truly magical. Most of my clients type in Westin Resort & Spa in Hilton Head, South Carolina reviews. I blessed to have those all over the web, and many clients reviews speak about what I do best, in capturing these moments, showing up early for their special day, being unobtrusive and alert for every moment, helping them design a special wedding day timeline that incorporates all of the important wedding images that needs to be captured. Why I am the recipient of the Wedding Wire Black badge for my 100 amazing reviews posted by my past wedding clients. 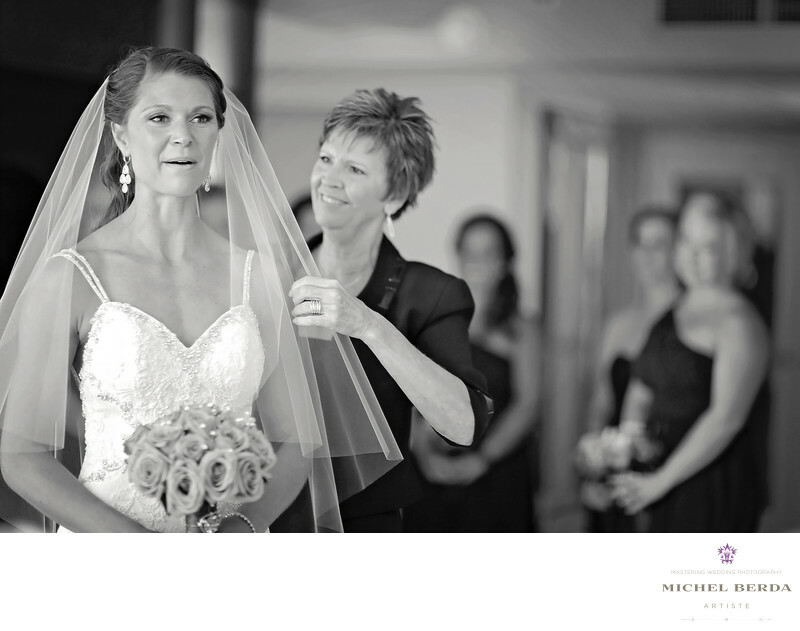 They love the images I capture for them, just like this priceless moment that I love, the image and what it reflects in a B&W art piece of a mother and her daughter making sure every detail is perfect on her, checking her veil, and making sure it is perfectly centered, while the bridesmaids in the background look in awe and let her mother and the bride have that once in a lifetime special moment.